Combined with TechDirect.Asia’s networking consultation programs, small-to-medium sized enterprises can now enjoy the connectivity and security of much larger companies, at a fraction of the price. TechDirect.Asia (http://techdirect.asia) has added networking giant D-Link’s products to its ecommerce store. The company now offers a complete range of D-Link hardware and consultation services to small-to-medium size companies. The service and hardware combination will help enterprises in Asia upgrade their current networking and security. “D-Link has long-established itself as a cost-effective and versatile networking solutions provider. Their products, focusing on ease-of-use and seamless integration into existing protocols, hardware and software, help companies around the world achieve the next level of success. Combined with TechDirect.Asia’s networking consultation programs, small-to-medium size enterprises can now enjoy the connectivity and security of much larger companies, at a fraction of the price,” added Chin. 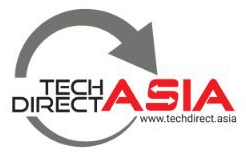 To learn more about TechDirect.Asia, visit http:techdirect.asia/about-techdirect and http://techdirect.asia/blog. The launch of TechDirect.Asia further broadens Altostratos’ offering to its global IT customers, by enhancing the ability of global IT brands to reach their enterprise and small-and-midsized business (SMB) customers in Asia via a one-stop e-commerce channel that complements the brands’ offline sales channel strategies and online presence. Recognising that business and corporate buyers have different needs compared to consumers, TechDirect.Asia helps buyers get complete visibility across solutions, along with a holistic, unified view of the path-to-purchase.